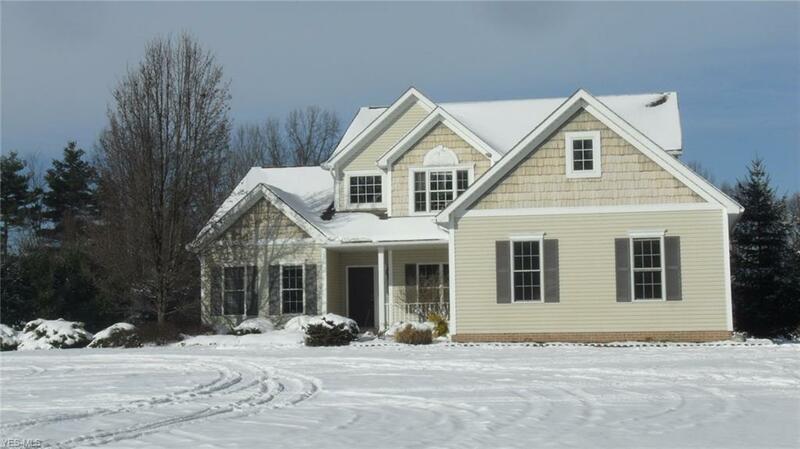 MOTIVATED SELLERS/OPEN TO OFFERS.OPEN, CUSTOM & QUALITY BUILT 4 BR/2.1 BA/3,513 S.F. 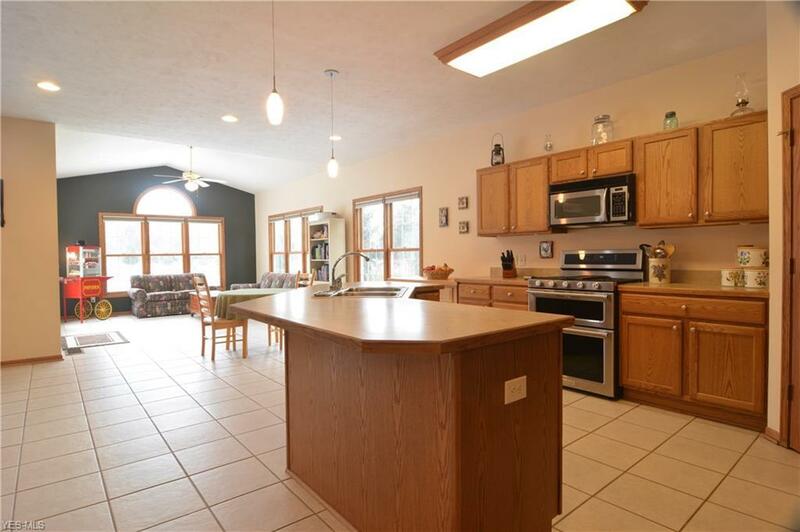 COL W/ A TON OF UPGRADES ONPRIVATE, TREED 2.5 AC LOT COMPLETE W/ OVERSIZE 38X22 INSULATED 3-CAR SIDE-LOAD GARAGE (8DRS/WATER/DRAIN/WALK-UP ATTIC/STAIRS TO LL) IN BEAUTIFUL/HISTORIC HIRAM ALL MIN TO 422(CLEVELAND) & I-80/TURNPIKE (YOUNGSTOWN/AKRON). 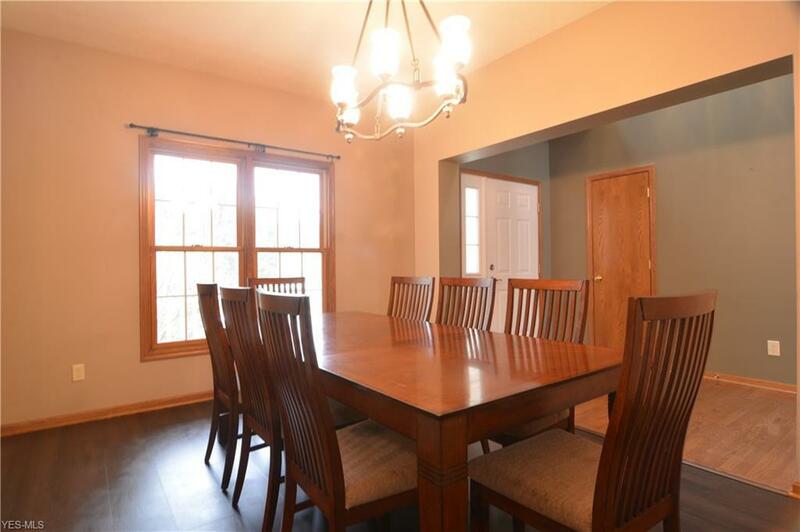 HOME FEATURES INVITE 17X7 COVERED FRNTPORCH; 13X7 2-STY HW FOYER W/ PLANT SHELF; 19X13 HW FIRST FLOOR MASTER SUITE W/ FRENCH DRVAULTED SIT RM/NURSERY, GLAMOUR BATH (SOAK TUB, SHOWER, PRIVATE WATER RM 2 WALK-INCLOSETS (8X6 & 7X6); 23X20 GREAT RM W/ DCOR WB FP W/ GAS STARTER; 23X17 TILED EAT-IN KIT W/6 PERSON+ BREAK BAR, W/ PANTRY & SS APPLIANCES (5 GAS BURNER CONVECTION OVEN, SIDE-BY-SIDE FRIG & DW); VAULT TILED SUN RM; 12X6 LAUNDRY OFF GARAGE W/ RACK & COAT CLOSET. 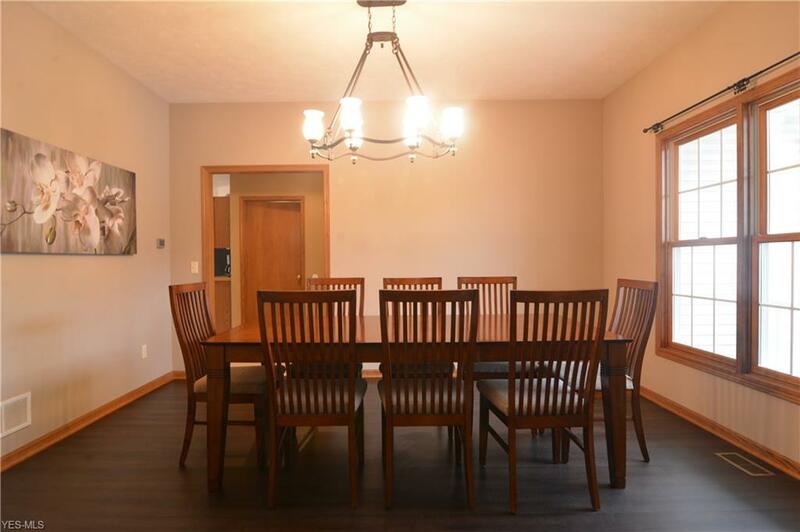 HOMEINC 17X14 2 ND BR, 13X13 3 RD BR, *15X14 LOFT COULD BE 4 TH BR; UPSTAIRS BEDRMS HAVE GOOD CLOSETSPACE & SHARE A FULL BA INBETWEEN; 13 COURSE/POURED LOWER LEVEL ALREADY STUDDED &PLUMBED FOR A FULL BA READY TO BE FINISHED FOR AN ADDL 2,268 S.F. HOME & BACKYD AREPERFECT FOR ENTERTAINING. THERE ARE 3 DECKS INBETWEEN SIT RM (14X12), KITCHEN (19X14) & SUNRM (14X13). REAR YD ALSO SHOWCASES POOL & HOT TUB W/ PRIVACY FENCE. 12X8 SHED W/ ELECTRIC& LIGHTS. 20X16 PARK PAD. PLENTY OF NATURAL LIGHT THRU OUT (ANDERSEN WINDOWS). 9CEILINGS ON 1ST FLR. NO HOA FEES OR RESTRICTIONS. DO WHAT YOU WANT, WALK OUTSIDE & HAVETHE FREEDOM TO BE PRIVATE IN YOUR OWN YARD.